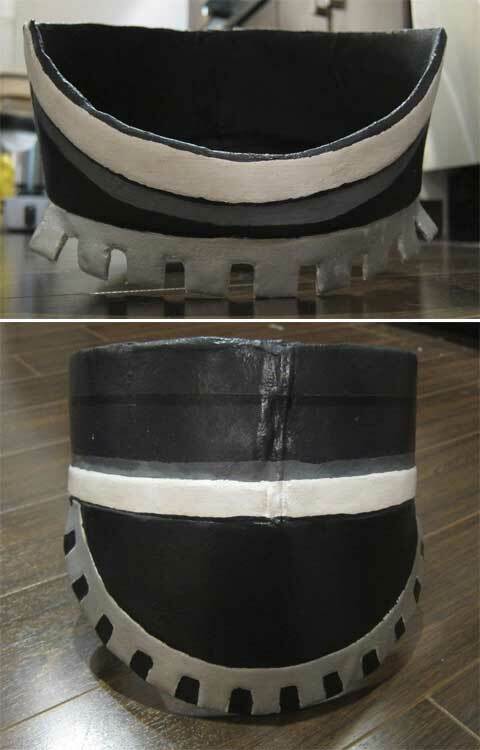 Last post for Haseo, at least until I decide to build a few more pieces for the costume. I have started on another project and will post some updates on that in little while. In the mean time I may discuss some tools or materials. I still have to build the weapons (the guns) or another of his weapons (Twin blades, scythe or chainsaw sword). 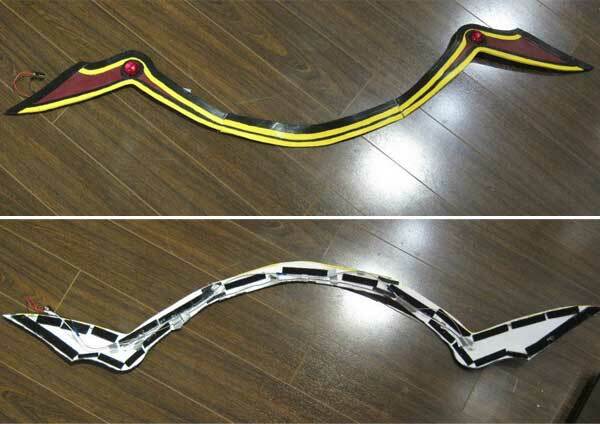 Although I have built the twin blades in the past for my Haseo first form cosplay, and did still own them when I wore this cosplay, they were some of my learning props and didn’t fit with the rest of the Xth form cosplay’s quality/look. I may consider the scythe just to try out a different scythe building technique (I’m interested in trying expanding foam out for a prop and having a staff the breaks into pieces), but that won’t be for a little while! I don’t have a workshop or workshop space in my current home so many large projects will have to wait. For anyone interested. 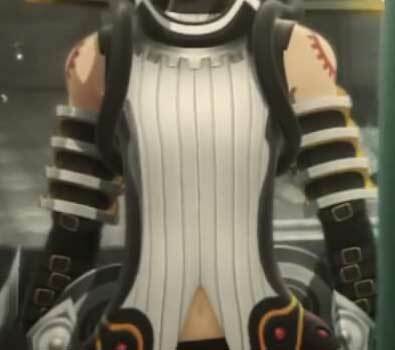 This was my Haseo first form cosplay. I’ve learned a lot about cosplay since I did this, changed many methods I use (and gotten the cash to pay for some better tools and materials). This was some of the more challenging armour to think through making. The basic shape of it is a cylinder which slowly expands outwards, then with a second cylinder attached below. At this point in my process I was also running out of wonderflex (and time) so I made do with friendly plastic for a few parts. I, sadly, have no progress pictures for this piece so I can only really discuss the theory of how they were built. The base was created out of a few pieces of foam, covered in wonderflex and placed around a pot to assure that they would be round. The edges that stick out are foam covered in friendly plastic. The bottom part was done in the same manner and attached to the top portion. Wiring was very simple for this piece as there was only two LEDs. These stayed on using an elastic which went just under my knee (over the muscle right there) and attached onto velcro on the front of my black tights. Originally I believed that this would be the single least comfortable piece of the armour, it was sadly beaten by the sunflower. Although the theory of this piece was good it felt like it just stood on my body and didn’t really fit as well as it should have. I may rebuild this at some point. To anyone else building this piece I would suggest attempting to shape it to your neck area a bit better. 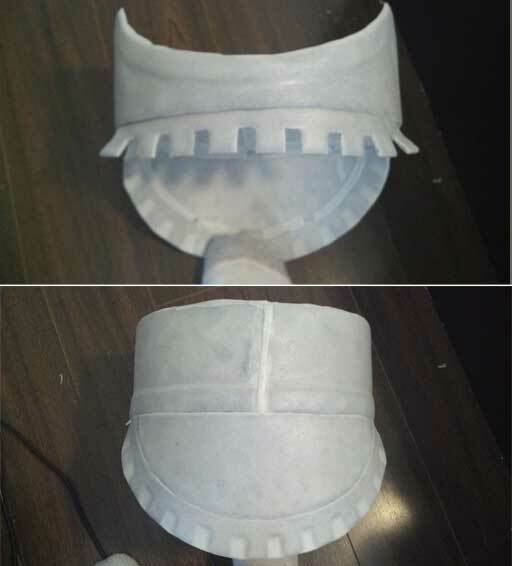 The base of the collar was foam, to create the soft appearance of the piping instead of adding wonderflex on top of the base I stacked the foam, then wonderflexed it. I did like this effect for this piece in the end and felt it was effective. The two pictures below show the wonderflexed and shaped foam (and my lovely socks). From here I did the normal wonderflex prep (gesso, lots of sanding). The painted the item. I blended the rub’n’buff with a bit of satin gloss to thin it out so I could treat it as paint, this worked really well and didn’t change the colour or effect of the rub’n’buff. 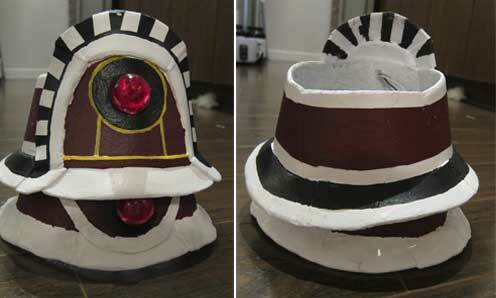 This was built in the same way the belt armour was; foam, mod podge, paint and wiring. There is some wire in the piece that I used to keep it stiff and shaped, it helped it sit better. As this was my first time using just foam for armour (no wonderflex, no styrene) I was very happy with the result. It took paint well and came out smooth. These two pieces have opened by eyes to foam armour a bit more, I may end up using it in a few more project going forward. The wiring ran along the entire piece and the battery clipped into the opposite side of the thigh armour from the belt armour. This wasn’t attached to this shirt direction to make washing the shirt easier (washing cosplay clothing is wise, this shirt did not smell great!). The shirt, this was my sewing pride and joy of this costume. I am not really a sewer, I tend not to sew with patterns and I’m not particularly confident in my sewing skills. I managed through making the pants for this costume but the shirt was a different story, at least at first. The shirt started as a near dress. The base of the shirt came off of one of my fitted T-shirts then was significantly lengthened, originally it was to just above my knees, rather silly looking. The front was cut in half to allow for the centre zipped, as I wanted the neck to come in very tight I wouldn’t be able to pull it on/off. It also made it so I could walk to the convention in a different shirt, I take transit to my local conventions so I try to wear as little of my costume while transporting as possible. Once the zipped was installed and the base shirt was somewhat fitted I had to create the lines down the shirt. I spent a lot of time milling over different versions I had seen of this cosplay, most had simply chosen to draw on the lines. I didn’t like this effect it tended to look too bold against the shirt and the lines of the character’s shirt look more like texture than drawn on lines. I resolved to sewing them in. After measuring the total I determined that the space between each line needed to be 4cm. For each line I pinched a bit of fabric, pinned it, ironed it (ironing was very key to keep these lines from puckering), stitched it then ironed it while it was folded, then while it was flat. There was no puckering in the lines as a result of all the ironing. These lines were put in all around the shirt. Once the lines were done I cut out the black fabric. Black fabric #1, the base, is shiny, black fabric #2 is dull black bias tape. 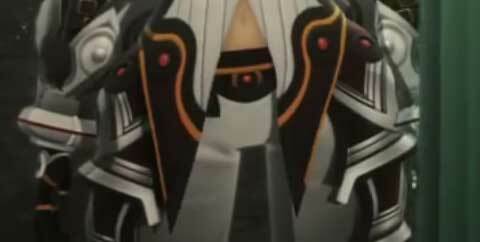 I liked the effect of the lining this created (and it was accurate to Haseo’s shirt, hooray!). The bias tape was also used to line the arm holes. 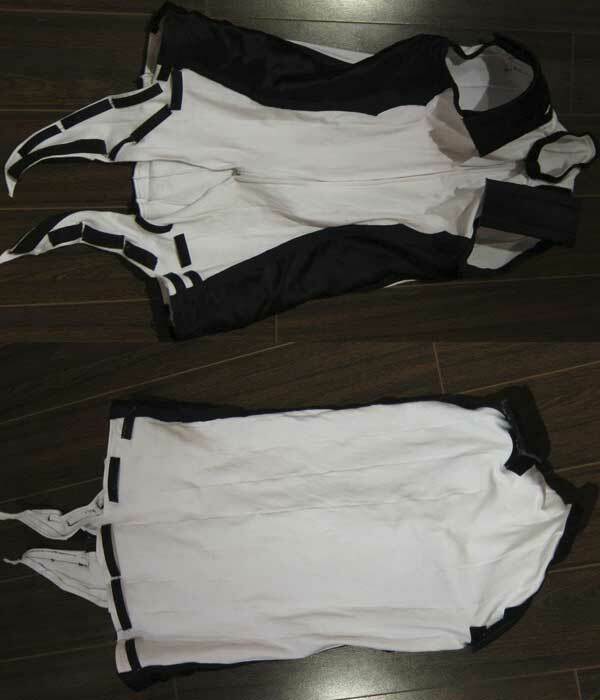 The shoulder pieces were foam covered in fabric and glue. The glue created an interesting effect on the fabric, which I rather liked. They don’t show in any of the photos I have, but there are lines stitched into these with my sewing machine at 1cm intervals. These are stitched onto the shirt, with some velcro to allow the collar to slide under certain parts. The velcro on the bottom of the shirt is to hold the shirt armour, described above. Around the neck there is velcro to hold on a leather collar that snaps around the back. There are a few pieces of velcro to hold the collar in the correct position as well. These photos are just of the shirt on the floor, not super attractive, but it shows all the sewing/velcro well. I hated this piece, with a passion as well. In fact I dislike this piece so much I don’t even have direct picture of it to provide! It broke both days I wore the cosplay, was very uncomfortable and further restricted my movement (which the other parts of the cosplay had done plenty already!). 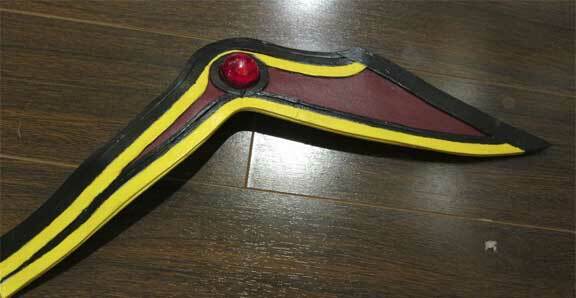 I will be re-doing this piece with craft/eva foam in the future. Wire was formed for each piece, glued together with a dab of hot glue. 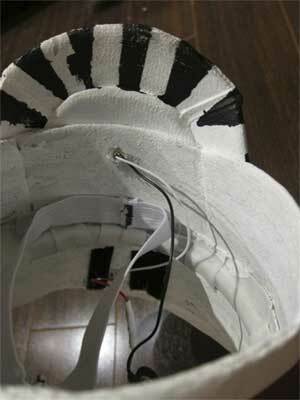 A 1 cm piece of craft foam was slit in the middle and one was added to each side of the wire. At this point the piece would fit my arm, but wasn’t tight. These were covered in a thin layer of air dry clay. These pieces were connected using a thin piece of balsa wood (likely my biggest error) then the shape on the connector was built up on top of the balsa wood. These were then painted and finished. Again, I do not suggest this method. I think I will aim for shaped thick foam next time, connected by foam. This would give a bit more flexibility and would not break as easily! 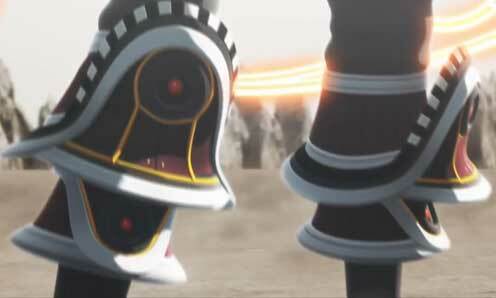 And that’s it for Haseo! Here are a few more photos of the costume, but we’re done with this guy for now. This was my largest, longest and most challenging project to date. My next one is a bit easier but I certainly look forward to attempting another one like this!